Pádraig Naughton, Executive Director of Arts & Disability Ireland explains why arts and health and arts and disability are two distinctly different areas of practice, outlining the differences and flagging up some of the points of intersection and overlap. Why arts and health should not be confused with arts and disability? I suspect the reason arts and health and arts and disability are seen as being one and the same thing may be due to some peoples’ perceptions around disability primarily being a health issue. However, arts and health and arts and disability are two distinctly different areas of practice and it is my intention in this article to outline the differences as well as flag some of the points of intersection and overlap, which undoubtedly exist. I will then go on to explore the evolution of arts and disability in an Irish context, clarifying what it encompasses in the arts in Ireland today. In many respects the key difference is that arts and health is a practice incorporating both artistic and health aims. Whereas arts and disability in an Irish context is an umbrella term that is concerned with furthering the participation in and experience of the arts by people with disabilities. Consequently, arts and disability incorporates both a broad range of dissimilar artistic practices but also the arts sector’s response at an organisational and collective level to making their programmes and services accessible to people with disabilities. Like all communities in our society, people with disabilities may have a medical condition, avail of health care services on a regular or occasional basis and while doing so become involved in arts and health projects. In a similar way, artists with disabilities like their non-disabled peers may choose to work in arts and health contexts. While arts and health considers issues of access, participation and cultural equality as part of its practice, arts and disability can more clearly assert that it is working to the social model of disability, by virtue of the fact that its focus is about removing barriers to people with disabilities participation in or experience of the arts. Furthermore it envisages the involvement and engagement of people with disabilities in the arts at all levels, be that as participants, practitioners, employees, arts managers, board members, advisors or audience. People with disabilities comprise the whole age, gender, ethnic, culture and interest range. Their ‘disability’ or impairment may be visible or invisible, longstanding or temporary. In an Irish context, the disability community has evolved through consensus politics to be a broad coalition of people with disabilities, as well as their families, friends, advocates, professionals working in the field and their representative/ service organisations. Where as in other jurisdictions like the UK the disability community is disabled led. The use of ‘Arts & Disability’ as an umbrella term in Ireland has evolved through custom and practice and is resulting in the convergence of a broad and diverse range of dissimilar interests. Consequently, arts and disability reflects both how people with disabilities participate in the arts but equally, the ways that the mainstream arts sector gives consideration to how people with disabilities engage with their programmes or services. With clear artistic vision, goals and outcomes, arts and disability recognises a wide range of practice, including that of practitioners with disabilities, collaboration, disability led, Disability Arts, Deaf Arts, access services and advocacy. However, areas of practice involving people with disabilities where the arts is used as therapy, an advocacy tool, occupational therapy, a vehicle for well-being or life skills development do not fall under the umbrella of arts and disability. Not all emerging and professional artists with disabilities want to address the issue of disability in their work. More importantly, many have consciously decided not to have their disability known or made part of the marketing of their work, preferring the work to be taken on its own merits. Believing knowledge of disability will influence the interpretation of their work, perhaps even excluding or discriminating against their participation in the mainstream arts. While for others their disability is not necessarily related to their art and therefore, not something they wish to elaborate on. Collaboration between practitioners with disabilities and their non-disabled peers assumes an equal involvement in the creative process from inception to completion. 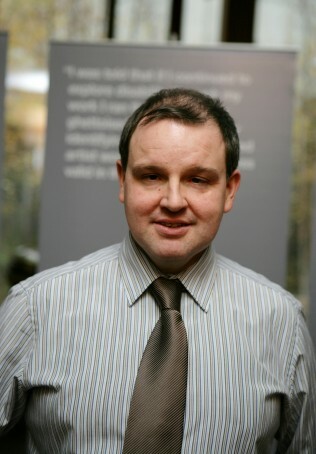 Such partnerships are fundamental to embedding the practice of artists with disabilities in mainstream arts, and to developing the skills, knowledge, understanding, critical discourse and alliances necessary among people with disabilities to create long-term leadership roles across the arts sector alongside their non-disabled peers. ‘Disability led’ is the term used to refer to people with disabilities taking leadership roles in all aspects of their arts practice and management, including governance, management, producing, directing, choreographing, conducting, designing, and performing. In other jurisdictions Disability Arts and Deaf Arts are seen as distinctive areas of practice with their own identities as sectors. Whereas in Ireland presently, Disability Arts or Deaf Arts do not have sufficient critical mass to be recognised as stand alone sectors. Disability Arts is seen as being a creative response to the experience of disability and Deaf Arts as creative expression through Sign Language and of Deaf Culture, both of which have their roots in a strong and proud identity politics. Unlike in Britain and Northern Ireland, Irish legislation does not currently recognise Sign Language users as a separate linguistic grouping. Consequently, deafness is widely understood to be a disability/impairment. As a result, arts and disability is seen by many to be inclusive of Disability Arts and Deaf Arts. In addition to embracing practitioners with disabilities, arts and disability also incorporates access services and advocacy, through the provision of information, training, equipment hire and assisted performances to the arts sector to make their programmes and services more accessible to people with disabilities. In conclusion, arts and disability is broader than a single practice but incorporates a wide range of dissimilar interests. Consequently arts and disability does not see itself as being part of arts and health but rather a sector that when required can support more inclusive ways of working in arts and health projects for both practitioners and participants.